“If we are wise enough, it should be clear to all by now that we are not dealing with a religious problem, even if it has a religious content. We are not dealing with a political problem, even though they have a political message. We are not dealing with a regional problem, even if the North-East happens to be their base. We are dealing with a security problem. A national security problem. A problem that spares no one. We saw this problem start in the backyard of Maiduguri. It became a Borno problem. It became a regional problem. They started with swords and daggers. Now they are using bombs. They started with hit-and-run. Now they are in command of towns and villages“. This quotable quote, more than anything else, captures my position on the Boko Haram maniacs. It is taken from Season 3 of the American political thriller, Homeland. Nicholas Brody, a retired US Marine sergeant â”€ who had turned against his country, converted to Islam and become a terrorist while fighting in Iraq â”€ was on the run. He was a suspect in the bombing of CIA headquarters. A bounty of $25 million was placed on his head. On self-exile in Venezuela, he escaped from his overbearing “protectors”, moved into a mosque and introduced himself as a Muslim to the Imam, who gladly received and housed him. For too long, we have failed to isolate these retarded adults and treat them as a different bunch of gangsters who are a threat to all of us Muslims, Christians, Northerners, Southerners, PDP, APC, Jonathan, Buhari, etc etc. When this whole madness began to unfold on a large scale, we chose to treat it as a religious or political problem. To many Muslims, it was a problem for Christians until Boko Haram went past churches and started attacking emirs and mosques. To many Christians, it is “these Muslims who hate us” â”€ but we can now see that even “these Muslims” hate fellow Muslims. The attack on the Central Mosque in Kano last Friday is as barbaric as the one on St. Theresa’s Catholic Church, Madalla, on Christmas day in 2011. To many Southerners, terrorism is a problem for Northerners. “Let them keep bombing themselves” is their terrible attitude. But they forget that the victims in Abuja, Nyanya, Maiduguri, Kaduna, Kano and elsewhere are full-blooded Nigerians from different tongues. “Let us divide Nigeria” is a chart-buster among some Southerners as if having blood-drinking terrorists next door is going to be a tea party. Ask Kenya about the al-Shabab menace in neighbouring Somalia. Ask Turkey about the hazard of ISIS in Iraq. Ask Mali about the fall-outs from the fall of Muammar Ghaddafi in Libya. It is pure ignorance to think that leaving innocent Northerners at the mercy of these lunatics is a great idea when they will eventually share border with you if your dream of breaking up Nigeria comes true. The politicisation of Boko Haram is absolutely odious and horrendous. On the one hand, the All Progressives Congress (APC) sees it as a publicity tool to win votes by highlighting how clueless the PDP-led government is. 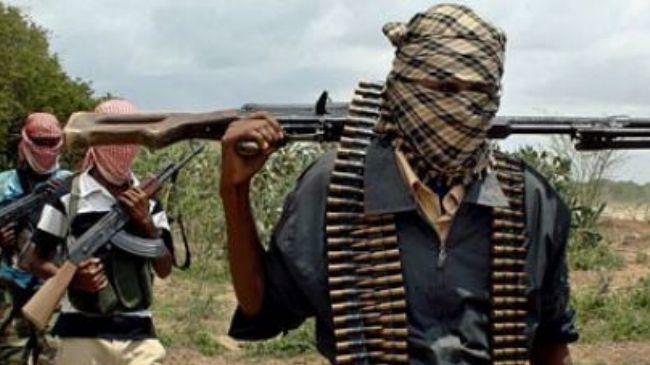 A party chieftain once said APC would end Boko Haram within three months if voted into power. That easy? On the other hand, the Peoples Democratic Party (PDP) has been trying to demonise APC as the sponsors of Boko Haram all because of 2015. And I keep saying: if PDP is sure APC is behind terrorism, is it not the job of government to arrest and prosecute the suspects? Does the PDP government have a game plan to defeat terror? Is the game plan working? That should be their preoccupation rather than demarketing APC. What exactly do these guys want? I have been monitoring and analysing Boko Haram’s pronouncements since the emergence of Abubakar Shekau as their leader in 2009. He has never suggested ceasefire or complained about poverty or lack of infrastructure. He has been incredibly consistence with his mission statement: to establish an Islamic caliphate and get rid of the infidels. Infidels, in this case, are not just Christians who, in any case, are their natural targets â”€ but Muslims who do not share their bestial brain. From the very beginning, he said he had a divine mandate to kill human beings “like chickens”. He said the Nigerian system is anti-Islam and he had a divine call to cleanse the land. He has said this again and again and again. If we are to learn from the pattern of insurgency around the world, what we are seeing is just an introduction. Nobody knows the next frontier. Nobody knows their next strategy. And nobody is safe. Nowhere is safe. That is why it hurts me to my bones when we play politics with this insurgency. It hurts me to my soul that we cannot see beyond our nose. It hurts me deep when we introduce 2015 and regionalism and bigotry into this unambiguous national security tragedy. What we have in our hands is, evidently, a copycat of Al-Qaeda, Taliban, ISIS, name them â”€ funded, equipped and motivated by forces who have a global terror agenda, headlined by Osama bin Laden in the last decade. Fellow Nigerians, I am convinced beyond reasonable and unreasonable doubt that this Boko Haram lunacy can only be tackled when we take away the religious and political veil from our face. We need the buy-in of every Nigerian to confront this insanity. We need the political class across the divides. We need Nigerians of all religious persuasions. We need a national consensus to cast out these devils. They are not Muslims. They are terrorists. He sure has his critics, but you are not going to get many public administrators who understand the basics of rebuilding the society like Babatunde Fashola. The governor of Lagos has just handed over the rebuilt Area C headquarters of Nigeria police, which was set ablaze by “unknown soldiers” in 2006. It is what a modern police station should be, complete with CCTV, forensic room, fingerprint room, interrogation room with cameras, cameras office, communication equipment, gym, befitting male and female cells. I dare say it is the most modern police building in Nigeria today. God bless Fashola. Amen.